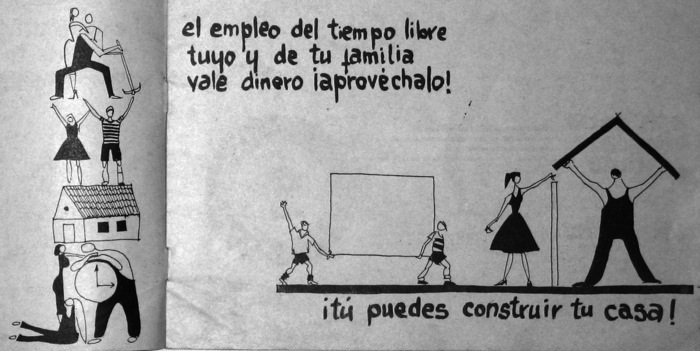 Corporación Nacional de la Vivienda, brochure for Urbanización: “The employment of your family’s free time is worth money. Take advantage of it! You can build your house!”, ca. 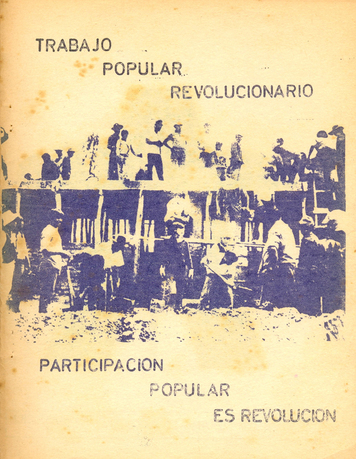 1961, San Juan, Lima. Through the case study of Peru, this research explores the limits (and limitations) of architecture as a means to provide housing under conditions of crisis. It examines the challenges to the universalist claims of architectural modernism in the postwar period when Peru faced a foreign world of rapid demographic increase, very low-income populations, emerging economic modernization, and large-scale unplanned urban development. As the sheer scale of the housing deficit tested the limits of conventional modernist housing reform, aided self-help presented itself as a response to the constraints and apparent opportunities of this situation. The essential premise of aided self-help was to bring together the benefits of “formal” architecture—an expertise in design and construction—with the substantial cost savings of “informal” building in which residents themselves furnished the labour. 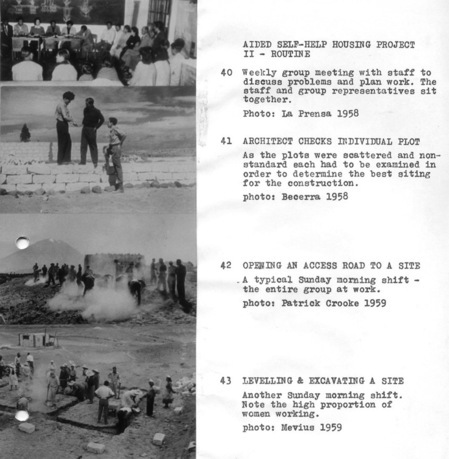 The analysis focuses on three key spheres: the circumstances which made Peru a site for innovation in low-cost housing under a succession of very different political regimes; the architectural culture which prompted architects to consider aided self-help housing as an alternative mode of practice; and the context in which international development agencies came to embrace these projects during the Cold War and beyond. This research reveals that although aided self-help housing promised a means of resolving a housing crisis that conventional architectural techniques had failed to meet, it quickly encountered the seeds of its own failure in politics, organization, implementation, and perhaps most crucially, in funding. The rhetoric of self-help could simply become a mask to validate the state’s disengagement from housing provision. Helen Gyger is visiting assistant professor at Pratt Institute and has taught at the Yale University School of Architecture and Parsons The New School for Design. She is the coeditor (with Patricio del Real) of Latin American Modern Architectures: Ambiguous Territories (Routledge, 2012) and completed her PhD in architecture history at Columbia University in 2013.